This is a repeat from 2014. But I love the story, and in this time of conflict it’s worth retelling. Christmastime stories all have a touch of magic in them. From spirits of Christmas past, present, and future to a real Santa Claus the light of the season becomes real through some divine spark that illuminates a life. But all of these fairy stories dim in comparison to one with a much lighter touch of providence acting only through the hearts and arms of men. And this story is also true. The time is a century ago, near St Yves, France. The Great War has stalled into the mud as Germans and English have dug in yards apart. The men of both sides shiver as December settles deep into the trenches. Hired on as murderers, the stench of death around them, they chose instead for a few days to be something much more. For a brief moment, they even become friends. 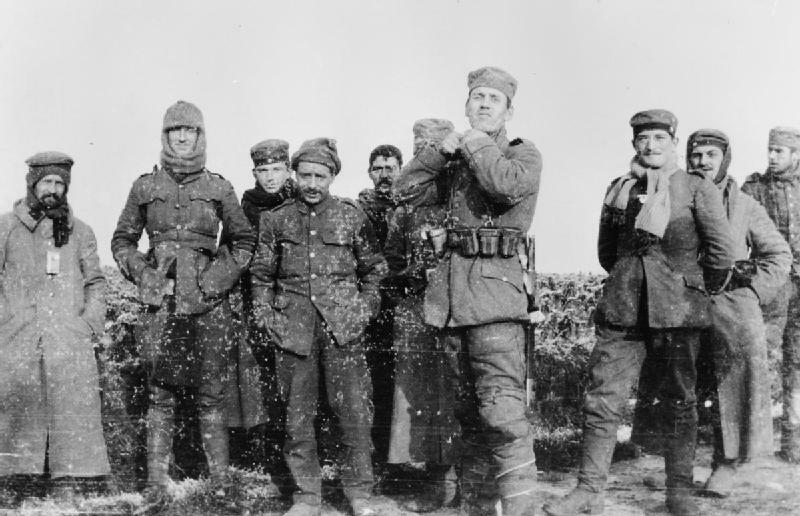 German soldiers of the 134th Saxon Regiment and British soldiers of the Royal Warwickshire Regiment meet in no man’s land, December 26, 1914. The Winter of 1914 was not what it was supposed to be as Europe plunged eagerly into war. Both sides expected victory by now, even though the War was only a few months old. What started as a glorious party had fallen into a cold stalemate along the Western Front, a line cutting through France. The German advance had been stopped, but not repulsed. No one knew what might come next. You will no doubt be surprised to hear that we spent our Christmas in the trenches after all and that Christmas Day was a very happy one. On Christmas Eve the Germans entrenched opposite us began calling out to us ‘Cigarettes’, ‘Pudding’, ‘A Happy Christmas’ and ‘English – means good’, so two of our fellows climbed over the parapet of the trench and went towards the German trenches. Half-way they were met by four Germans, who said they would not shoot on Christmas Day if we did not. They gave our fellows cigars and a bottle of wine and were given a cake and cigarettes. When they came back I went out with some more of our fellows and we were met by about 30 Germans, who seemed to be very nice fellows. I got one of them to write his name and address on a postcard as a souvenir. All through the night we sang carols to them and they sang to us and one played ‘God Save the King’ on a mouth organ. 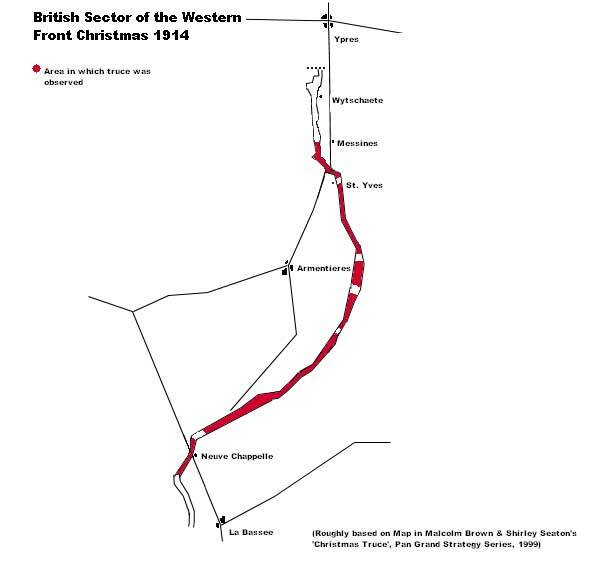 A map of the Christmas Truce of 1914, from St Yves south. The troops sang to each other all night, with both sides joining into “O Come All Ye Faithful” in both English and German. Along the tops of the trenches on the German side small Christmas trees came out, lit by candles, as a beacon of light and life shining over the dark mud and death. During the early part of the morning the Germans started singing and shouting, all in good English. They shouted out: “Are you the Rifle Brigade; have you a spare bottle; if so we will come half way and you come the other half.” At 4 a.m part of their Band played some Christmas carols and “God save the King”, and “Home Sweet Home.” You could guess our feelings. Later on in the day they came towards us, and our chaps went out to meet them. Of course neither of us had any rifles. I shook hands with some of them, and they gave us cigarettes and cigars. We did not fire that day, and everything was so quiet that it seemed like a dream. There are reports that a soccer game broke out at one point and general merriment took the place of bullets and shells for one day. The good feelings continued in some places into the New Year as Winter wrapped them all together in a common quest for survival. The truce did not last, of course, and at some point the commanders had their men shoot at each other again. The waves of bodies went over the top of the trench not in friendship but with bayonets drawn. The War was back on. But for one brief moment there was Christmas. There was light and calm, there was life and hope. If only it could have lasted, and if only these fast friends could have resisted their commanders and kept the Christmas Truce of 1914 alive. But it was only a brief spark of the divine in a war that saw the depths of human degradation and destruction. Though it didn’t last into 1915 the story of that magical moment can still give us all hope a century on. 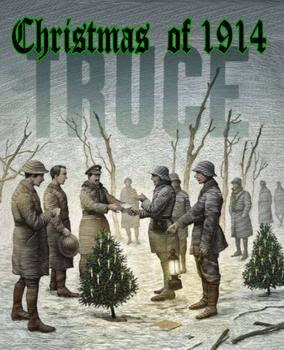 This entry was posted in People & Culture and tagged Christmas Truce. Bookmark the permalink. This is one of my favourite Christmas Stories, You might enjoy this telling too. Thank you for sharing this beautiful Christmas story. It gives me a thrill to see humanity at its best. I also never tire of this tale. It was said that on one part of the front the men of a regiment from Saxony called across saying ‘ We are Saxons. You are Anglo-Saxons. Why should we shoot at each other this day?’. Another example of snatches of Humanity was the annoyance by both High Commands at live and let live policy adopted by both sides during lulls in the fighting; followed by the practice of messages being sent across warning the opposition that there would be a small, local barrage today because some general was visiting.